Suite Home Gavirate price per day from € 60 . Villa Cagnola price per day from € 170 Offering a restaurant, a garden and a terrace, Villa Cagnola is located in Gazzada Schianno, a 5-minute drive from Brunello. At Villa Cagnola you will find a 24-hour front desk, a garden and a terrace. Dolcelago B&B Offering free bikes, Dolcelago B&B is located in Gavirate, 150 metres from Lake Varese shores. Complete with an electric kettle, the dining area also has a dining table. Other facilities offered at the property include a shared lounge, luggage storage and a children's playground. Hotel Locanda Dei Mai Intees price per day from € 124 The Locanda Dei Mai Intees matches the picturesque medieval ambiance of Azzate, overlooking Lake Varese with a magnificent view of Monte Rosa Massif and the foothills of the Lombard Alps. The establishment was later transformed into a single country estate by the chemist himself, of whom the current owners are descendants..
Sunset Hotel price per day from € 65 . Villa Cagnola price per day from € 87 . 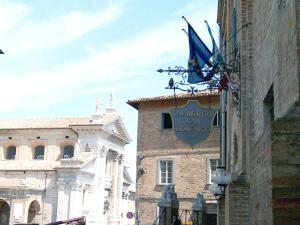 Dolcelago B&B price per day from € 125 . 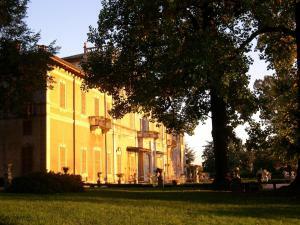 Villa Varese Tre This charming apartment is in a detached villa just two kilometres from Lake Varese. 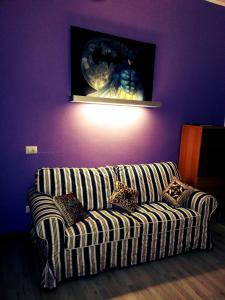 The apartment has its own entrance and is comfortably furnished. There is another holiday apartment on the ground floor..